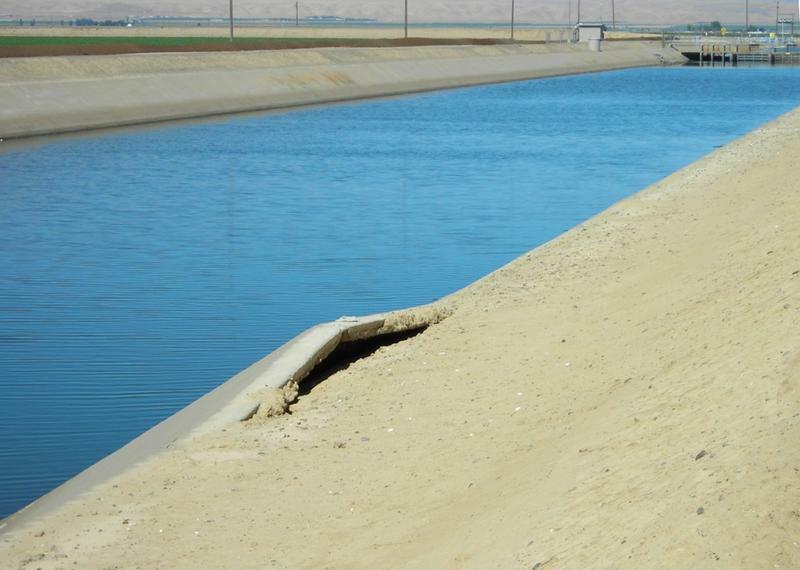 A section of the the Friant-Kern Canal in Tulare County is sinking so much that it's lost about 60 percent of its flow. 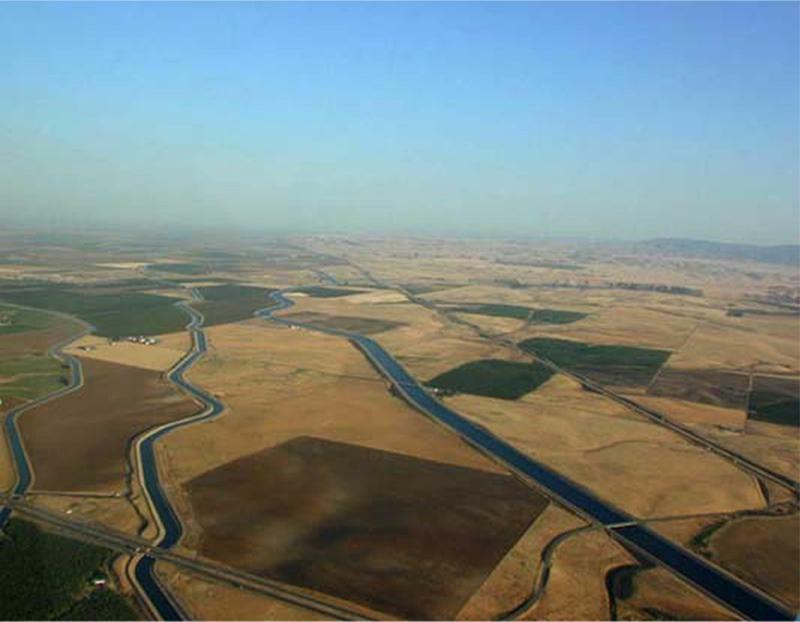 Doug DeFlitch with the Friant Water Authority says the canal that helps irrigate a million acres of farmland has sunk two to three feet in some places over about a 25 mile area. The original design capacity in the area is about 4,000 cubic feet per second and he says it’s dropped to 1,600 cfs. The 152-mile canal from Millerton Lake to Kern County was built in the 1940s. It also supplies water to places like Lindsey, Orange Cove and Terra Bella. DeFlitch blames the subsidence on five years of drought, the over-pumping of groundwater and the geology of the region. As water is pumped out of the ground the clay the area is made up of collapses causing subsidence. "One of the ways we discovered the subsidence was we were delivering some floods waters in January down the Friant-Kern Canal and underneath the bridge at Avenue 96 the water was impounding on the side of the bridge where historically it would be able to go underneath the bridge,” DeFlitch says. Subsidence along the waterway is affecting how gravity forces water down the canal — it was designed with a slope of six inches per mile to ensure flow. He says his team has reduced the amount of water in the canal to make up for the difference. He says the lack of flow is limiting groundwater recharge and access to water for farms and towns that draw from the canal. 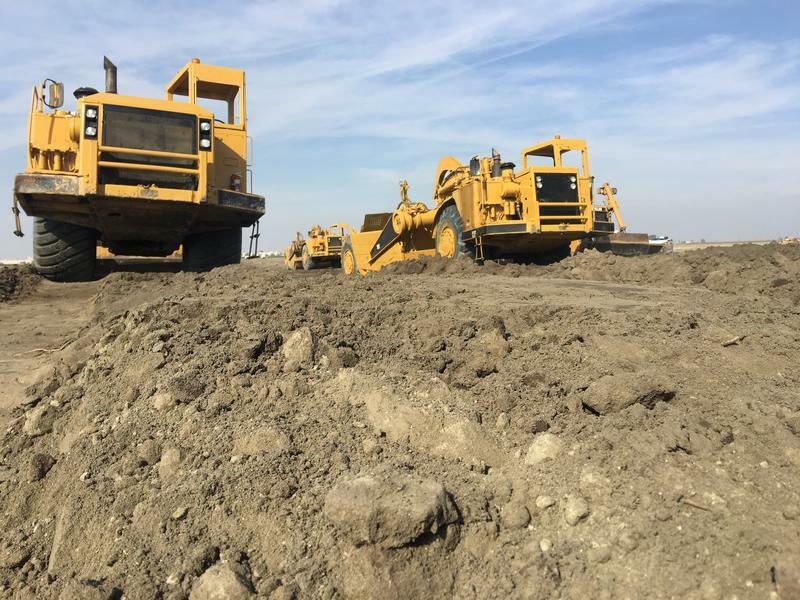 “Their capacity is limited, but some of the water districts have been able to mitigate those impacts by switching to their Kern River supplies or other local supplies,” DeFlitch says. The sinking starts around the Tule River and only worsens as the water flows southward. He says the deepest sinking is near the community of Terra Bella. 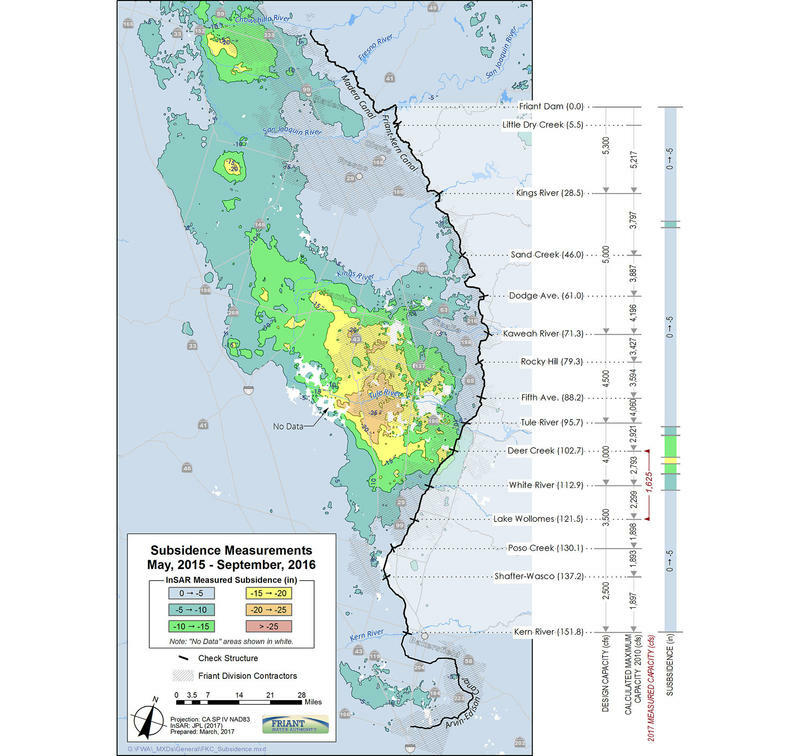 The problem mirrors subsidence detected in a 60 mile area around the town of Corcoran. That area has dropped by at least two feet according to a satellite mapping project by NASA from 2016. To fix the flow problems DeFlitch says the entirety of the canal needs to be adjusted to make up for the subsidence, which will cost around $400 million. But because of the high price tag he says his team is focusing first on fixing the area most severely impacted. Even though only preliminary design work has been done, he says to raise the canal by three feet will cost tens of millions of dollars and about three to five years to complete. Similar repairs were made during a time of drought in the 1970's. DeFlitch says in some places the banks were raised by six feet. DeFlitch says the plan to fix the problem may include erecting new bridges, building a pumping plant to increase the pressure of water flowing down the canal, raising banks or even re-routing the canal in some places. But he adds that all depends on funding. He says the earliest anything will be done is sometime in 2019. A new map released by NASA earlier this year shows that large portions of California are sinking. The worst of it is in the San Joaquin Valley. One of the main reasons is the over pumping of groundwater, especially in the last five years of drought. All that sinking and all the snow melting in the Sierra has Central Valley water managers like Dustin Fuller worried. California’s prolonged drought is once again causing the valley in sink. Groundwater pumping to keep water flowing and plants growing is resulting in the valley floor to settling and sinking in what is known as subsidence. As the water is pulled out the ground underneath fills the space and settles. In some places, the land is subsiding as much as a foot a year. Hydrologist Jim Borcher says the Valley has experienced sinking before, but now it is back. 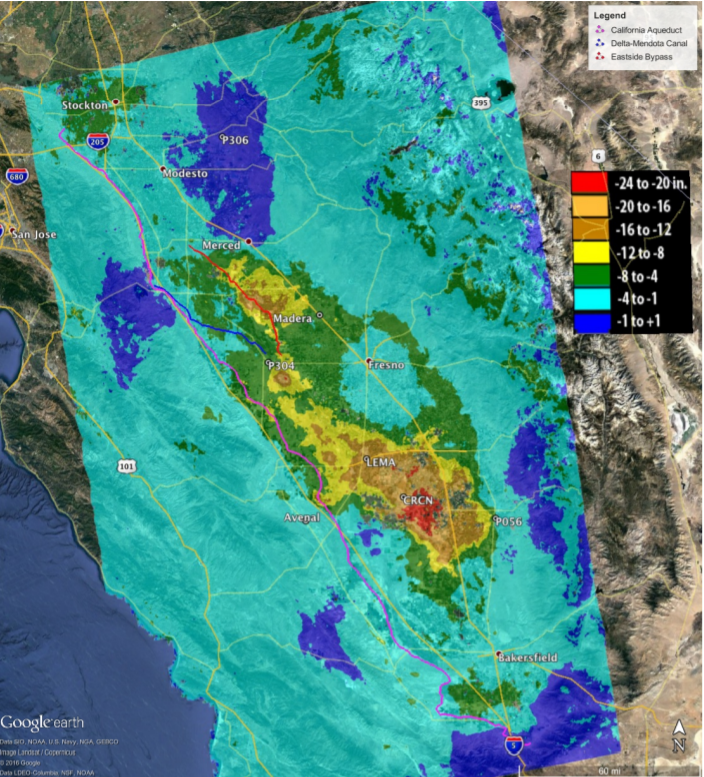 A new report from NASA shows the San Joaquin Valley is sinking much faster than ever before. Ed Joyce reports from Sacramento. With reduced surface water available because of the drought, more groundwater is pumped. As the underground aquifers are tapped, land surfaces sink. While subsidence in California isn't new, the report from NASA's Jet Propulsion Laboratory says the rate has accelerated.